The new research, published in the journal NeuroImage, offers a window into when these increasing levels of beta-amyloid, widely known as a risk factor for Alzheimer's disease, might reach tipping points in the brain, when regions crucial to memory begin behaving differently. Such points might foreshadow important milestones in the disease process. Subjects with slightly elevated levels of beta-amyloid exhibited more activity in brain regions involved in working memory as they engaged in a cognitively demanding task, Foster found. But in individuals with even higher levels of the protein fragment, there was a return to lower activation during the demanding task, showing levels of brain activity that were more like those in people with very little amyloid—a process the authors call "pseudonormalization." In all, participants in the study included 62 healthy adults from ages 51 to 94. Although the study is cross-sectional, rather than following the same individuals over time, this novel research offers a step toward better determining when in their lifespan an individual with rising levels of beta-amyloid might experience changes in the way the brain operates. 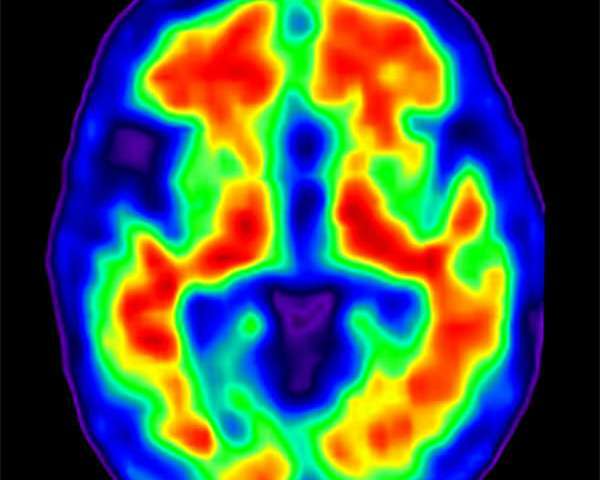 A better understanding of these subtle shifts in brain function could lead to new insights into how Alzheimer's disease progresses and possible ways to diagnose it earlier. 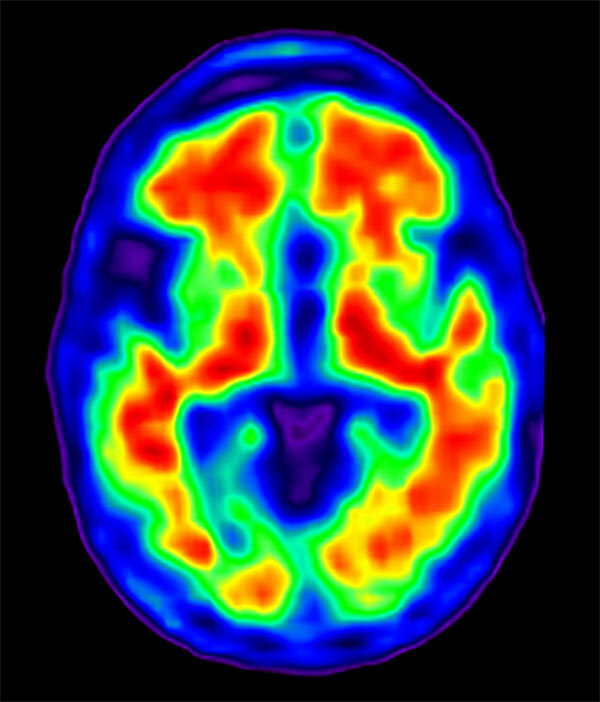 "While there may be no outward sign of memory impairment, and no behavioral manifestations of memory issues early on, it is important to understand subtle shifts in the way the brain is functioning in order to understand the disease process with the hope of intervening before it is too late," said Foster, who works in the lab of Dr. Karen Rodrigue, an assistant professor in the School of Behavioral and Brain Sciences. "This work will likely prompt those in the field who are specifically looking for markers or milestones of when the brain transitions between different activation levels, to re-evaluate some of their data," Kennedy said. Prior to the study, Foster said he considered evidence that suggests a change from increased to decreased brain activity actually might occur in the transition from mild cognitive impairment to Alzheimer's disease. "The hyper-activation we saw in some people seems to be the result of the excitatory effects of amyloid, at least initially," Foster said. "As amyloid accumulates even further, it may act to then dampen the activity, at which point cognition may begin to exhibit subtle changes."